I agree that this release shall be legally binding upon me personally, it being my intention to fully assume all risks of the trip and to release SERK from any and all liabilities to the maximum extent permitted by law. If you make a booking via this form we make a booking for your seat with our transport provider. If you don't make it to the ride we still expect payment. Please read our cancellation policy below. 1. Why should I join ? 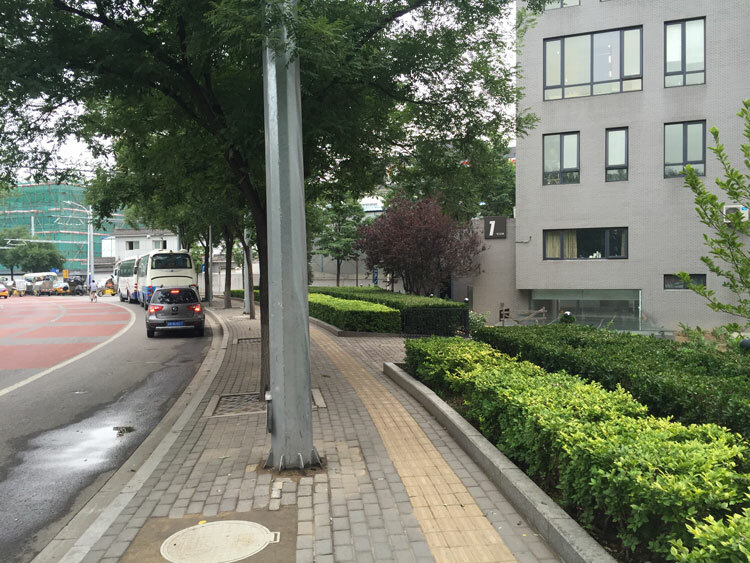 Beijing is home to some fine cycling terrain. On the outskirts of the city are kilometres of awesome roads. The air is better out there too. Get out of the chaos of the city, calm the mind, exercise, and breath in some fresh air. Did we mention you'll meet a ton of cool people as well. Cyclists are a friendly bunch and always welcoming. 2. What sort of bike do I need ? You need a road bike with gears. We will be climbing hills so fixies and your regular city bike wont cut it. No mountain bikes either as these don't fit easily together with road bikes in our vans. If you don't have a bike don't despair - you can rent one from Serk. You'll need to register and pay your ride fee quickly as the hire bikes book out each quickly each week. Bike rental details are available on the Ride Registration form just select "I'd like to rent a bike from Serk"
We also sell road bikes - they start at 4600 RMB. We recommend that you need a bike worth at least 3000 RMB as a minimum level. Most of our riders have carbon bikes in the range of 10,000 RMB and above. However many started off on low end bikes, got fit and upgraded later on. 3. Who is Serk ? Serk is a bike shop / cycling event and cycling tour company. We organise weekly rides and a couple of times a year offer longer trips to the best parts of China. Our most popular trip is to Tibet. Check out our trips here. 4. Which ride should I join ? Each week we try to design each route with following characteristics and rider level and fitness in mind. Long ride - fast and hard. Join if you are an experienced rider that rides at least 700km per month on average (one long and one short ride a week). If you are not fit at the moment then join B group till your fitness improves. Join if you are an experienced rider that rides at least 350km per month on average (one decent ride a week). Suitable for beginner riders and riders that would like an easy relaxed pace workout. The C group usually stop along the way for some photos and to regroup and are usually for the first group back to the vans and back into Beijing. Please note if it is your first ride with Serk please join the C Group. We can then assess your riding level and advise on which group is the most appropriate for you. 5. What happens when I sign up ? 6. Do i need special clothes ? Regular sports clothing is fine for your first ride. We recommend cycling shorts with padding for extra comfort and a cycling jersey which you can carry phone and spares in. We sell cycling kit in the shop which you can purchase pre-ride. 7. What do I need to bring on the bike ? You must bring a spare tube, pump and tyre levers so you can change your tube incase of flat tyre. You are expected to be able to change the tyre yourself. If you don't know how check out this video. Also don't forget sunscreen, helmet, water bottle and some snacks to sustain you during the ride. If this is your first Serk Ride this is how it works ! 1. Meet up point is usually Serk (unless otherwise noted). We meet at the back of the shop (see pic below). Serk is located here. The meet up time differs between seasons. Check the ride page for the exact meet up time. Leave plenty of time to get here the first time you come :-). If lost give us a call on 134-2647-4634 or 135-0122-5775. 2. When you arrive you will be checked in by a Serk employee inside the shop. Please pay your ride fee at this time if you haven’t already pre-paid. 4. Put your bike into one of the vans parked next to the backyard. 5. When instructed get into the van with your bike in it for the journey out to the mountains. 6. You can bring a bag with you with a change of clothes and some food and leave it in the van while you are riding. When you arrive at the destination in the mountains please pack up your bag and make sure its sealed. You may not be coming back on this same van. The vans leave at different times. The first 8 riders back will fill the first van and leave back to the city. Next 8 fill the next van, and so on till everyone goes back to the city. Our staff will move the bags out of the vans so that when you come back from your ride your bag will be ready to pick up. 7. We do not stop for lunch in the middle of the ride so you’ll want to bring some snacks to carry with you while you’re riding and a bottle or two of water. Sometimes the group makes a pit stop at a shop along the ride but it doesn’t always happen. Make sure you have enough water for a few hours of riding (usually 1 bottle per hour is sufficient). It is important to have a well balanced meal before the ride and snack in the middle of the ride to keep your energy levels up. 8. Bring sunscreen and don’t be afraid to apply a lot! 9. If you are hiring a bike we suggest you come by the Serk shop on Friday to get fitted on your hire bike so we aren’t monkeying around with it during check in time. If you can’t make it on Friday then please come 30mins before departure so we can set you up and explain how it works. Make sure your bike is in good working order – we are not responsible for broken down bikes. We prepare a route for each week and its important that you have put that route on your Garmin device or on your smartphone. We are happy to have you join us on a ride and we hope you have an awesome time! Serk Ride is the largest expat Cycling Club in Beijing. We have over 300 active members and regularly have 30-50 riders for each ride. Each weekend is a new adventure with over 50 curated routes on offer. We take pride in helping you to discover Beijing's amazing mountain roads and landscapes. It's cycling heaven. Serk HQ is a bike shop. Rides meet at the shop each week. We also sell bikes and accessories and service bikes. We offer discounts if you purchase a multi-ride pass. The passes are valid for the whole of 2017 and any remaining rides you have left at the end of the year will expire. Over the course of the year there are at least 40 Weekend rides and other opportunities to join our mid-week and blue sky day rides. All the info on our 10 or 15 ride passes can be found here. If you’d like to cancel your participation in a Serk event please do so 36 hours before the event starts. For example for an event that starts at 6.30am on Saturday you have up till 6.30pm Thursday to cancel. There is no cost if you cancel with 36 hours notice. If you cancel at least 24hours before the start of the event we expect 50% of the event fee to be paid. If the AQI levels are above the following amounts 1 hour before the start of the planned event Serk may cancel the event. If the event still goes ahead each participant has the choice to participate. If you decide not to participate because levels are too high for you there is no cancellation fee. However if the levels are below these limits and you decide not to participate because they are higher than your personal limits you will still be required to pay the full fee. If in doubt cancel 24h or 36h before. If the weather is looking bad Serk may cancel the ride. Its possible to ride in almost all types of weather so bad weather does not mean the ride will be cancelled. If ride is not cancelled and you don’t turn up we still expect payment unless you cancel with 24h or 36h notice. If you are concerned about weather please keep an eye on the forecast the days before and cancel in advance. For the wind geeks here is the wind forecast for the next 9 days. (only works with VPN on). This was developed especially for predicting days which were suitable to ride by friend Dustin Grzesik in 2013. Infact it was one of the first wind prediction tools (if not the first) in Beijing. The wind data source is from Norway (yr.no.) We use it religiously to predict the quality of the air in the city and out in the mountains. If the wind is blowing from the North and over 10kph expect an AQI of under 50 in the city. With less windspeed its often also excellent quality air in the mountains. You can use this data to decide when to ride and understand Beijing's wind and pollution patterns.